A new generation of young Palm Beachers are making their mark on the tony town, establishing their own identity and pursuing their philanthropic passions, while respecting the island's cherished traditions. 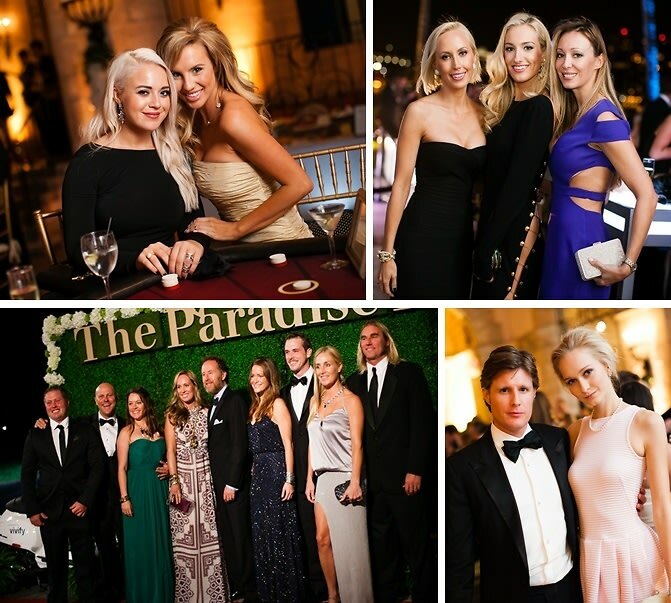 An annual celebration of their altruistic efforts and posh panache, the Paradise Fund’s Casino Night at Whitehall (now preserved as the Flagler Museum) on November 28 was once again a remarkable affair, raising funds for several charities. The glamorous event was sponsored by Emilio Pucci, Jimmy Choo and Gucci and feted by an impressive guest list amongst the balmy breezes of Palm Beach. Who was there: Guests included Chairpeople Zachary Potter and Bettina Anderson; Co-founders Christopher DiSchino, H. Loy Anderson III and Kent Anderson; Chairmen Emeritus Kenn Karakul, Arvo Katajisto, Talbott Maxey and Hilary Jordan; Hosts: Mary & Kane Baker, Nevin Bauman, Beth Beattie, Jefferey Berman, Amanda Boalt, Mary Brittain Cheatham, Tony Cummings, Scott Diament, Chase Dreyfous, Annie Falk, Allegra Fanjul, Sara Groff, Ashley Harcourt, Wyatt Koch, Stacey Leuliette, Rory Mackay, Brianna Mahler, Felicia Marquez, Kristina & Brad McPherson, Greg Norman, Jr., Todd Peter, Gary Pohrer, Piper Quinn, Mike Ramos, Lauriston Segerson, Donald Scott, Tracy Smith, Mary Tobin and Angela Vecellio; Other notable guests: Inger Anderson, Jeffrey Berman, Susanna Barasch, Ariel Burman, Josh Cohen, Nicholas Confessore, Andres Fanjul, Calixto Garcia-Velez IV, Richard A. Gonzalez, Kaci Hanner, Lukas Klessig, Lilly Leas, Chris Leavitt, Chris Leidy, Adela Martynkova, Kelly Murray, Sofia Reynal, Kelsey Wade, Keith Williams, and John Wright. Go HERE for more photos and be sure to tag yourself and your friends!